Mr. Dudamel and orchestra would be taking their first shot together at the expansive Third Symphony (the “Eroica”). 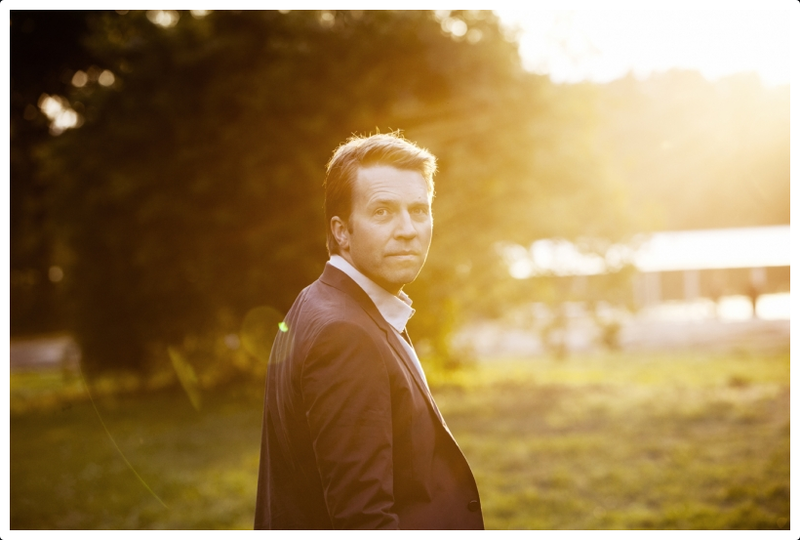 For good measure, he and the orchestra invited the formidable Norwegian pianist, Leif Ove Andsnes, to join them in not just one, but two of Beethoven’s piano concertos: the first and third. That was certainly the draw going into the concerts, and the results thereof should have been the big story coming out of them. This is not the way it turned out. Don’t get me wrong: the concert itself was a success, with Messers. Dudamel and Andsnes each bringing a different — but not incompatible — approach to Beethoven; however, when the weekend was done, all of the talk was about a less well-known (but ultimately just as important) musician that was also on stage at Walt Disney Concert Hall that weekend — Robert deMaine. 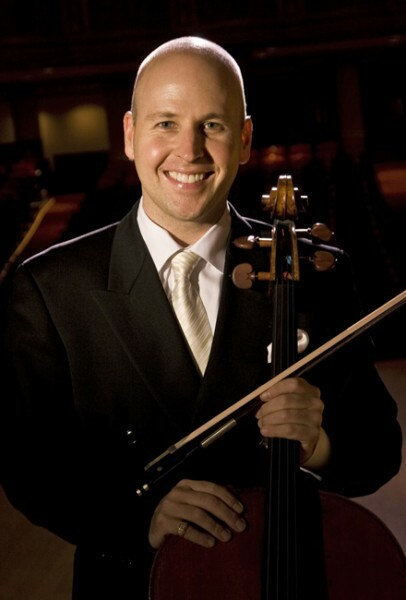 Mr. deMaine, currently the Principal Cello of the Detroit Symphony, was one of the two finalists for the LA Phil’s open Principal Cello chair. For all practical purposes, the position has been vacant for a year since its previous holder, Peter Stumpf, decided to become a full-time professor at Indiana University’s Jacob School of Music. He had played his trial with the orchestra this past week, including the four all-Beethoven concerts. Within a couple of hours after the concert was done on Sunday, word was spreading that Mr. deMaine was offered the position. By Monday morning, the Detroit Free Press had published details of the story, complete with official confirmation by Sophie Jefferies, the LA Phil’s Director of Public Relations. Yesterday morning, a copy of that same Free Press article was prominently highlighted on Mr. deMaine’s own webpge. Appointments of this magnitude usually get publicized, but it is a bit surprising how quickly word of this move made it out to the general public. By all accounts, the LA Phil is gaining (and by extension, the DSO is losing) a major talent. Charles Noble, distinguished blogger and Assistant Principal Viola of the Oregon Symphony, told me, “He’s phenomenal!” He’s not the only one who thinks so: praise for Mr. deMaine has been universal, with kudos and congratulations coming from audiences, critics, and musicians alike. Regardless of the timing, I definitely look forward to having him join the Los Angeles Philharmonic. There was, of course, an actual concert going on at WDCH, not just a try-out for a cellist. Luckily for everyone involved — most especially me — it was a very good concert indeed. Among the images prominently displayed as part of that site is Disney Hall, so I guess this qualifies his trip to Los Angeles as an especially important stop. Those of us music fans in SoCal are the clear beneficiaries. On Sunday, he played Piano Concerto No. 3 with his trademark warm, honeyed tone and razor-sharp precision on Disney Hall’s Hamburg Steinway. He was neither introverted nor boisterous, taking the familiar work fairly straight down the middle while imbuing it with color and nuance. You got the sense of being in the presence of a true master at work: he let Beethoven be Beethoven while still providing enough personality that made the performance far from generic. Mr. Dudamel certainly likes his Beethoven to be big and bold, seemingly at odds with the soloist’s take but in a concerto as conflict-between-pianist-and-orchestra way. The conductor took his opportunities during the concerto to make statements, but he and the LA Phil never overpowered Mr. Andsnes, allowing him to shine and remain the center of attention. Ovations for soloists were enthusiastic, and in response, he sat down to play the final (second) movement Allegretto of the Piano Sonata No. 22, Op. 54, as an encore. Beethoven’s Third Symphony was even bigger and bolder. The Philharmonic will forever be linked to the work via Carlo Maria Giulini’s landmark recording of it with the orchestra. It is an interpretation best left to that conductor at that time and place, and it wouldn’t be fair to try to measure any performance against that one. Besides, the LA Phil has had many different, memorable performances since then; Mr. Dudamel’s interpretation may or may not be one of them, depending on one’s taste — for me, it was not quite spectacular, but solid and enjoyable nonetheless. His tempi in the first two movements were broad without being pondering, and he maintained energy throughout while paying attention to details. Ariana Ghez played her prominent oboe solos with plangent beauty, and the horns with Andrew Bain in the lead sounded particularly rich and robust. Mr. deMaine’s high profile appointment was not the only personnel movement going on with the LA Phil. According to various sources, recent auditions for Associate Principal Clarinet were unsuccessful and no offer was made. This week and next, the orchestra makes its latest attempt at finding a Principal Flute after denying David Buck tenure. The crowd on Sunday was among the noisiest I’d heard at Disney Hall in some time, complete with people loudly telling other around them to be quiet. Oh, the irony. Tags: Andrew Bain, Ariana Ghez, Beethoven, Gustavo Dudamel, Leif Ove Andsnes, Robert deMaine. Bookmark the permalink.